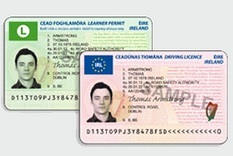 National Driver Licence Service (or NDLS) has taken over processing of all drivinglicenses previously undertaken by the local motor tax offices. The application process is “face to face” and according to NDLS, this means you’ll need to bring appropriate documentation to confirm your identity while your photo and your signature will be captured digitally by the NDLS staff. Or phone 076 108 7880. 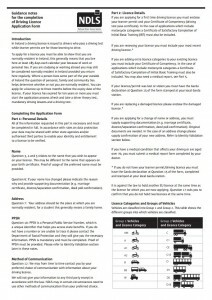 NDLS have a issued “Guidance notes for the completion of Driving Licence Application Form” in Adobe PDF form which you can download from their web site by clicking on the image below. The document includes a list of the NDLS offices nationwide. Click the image above to download (PDF format). MAG Ireland is a voluntary organisation and receives no state funding. If you found this page useful, please consider making a small donation do that we can continue to provide our services. Thank you.